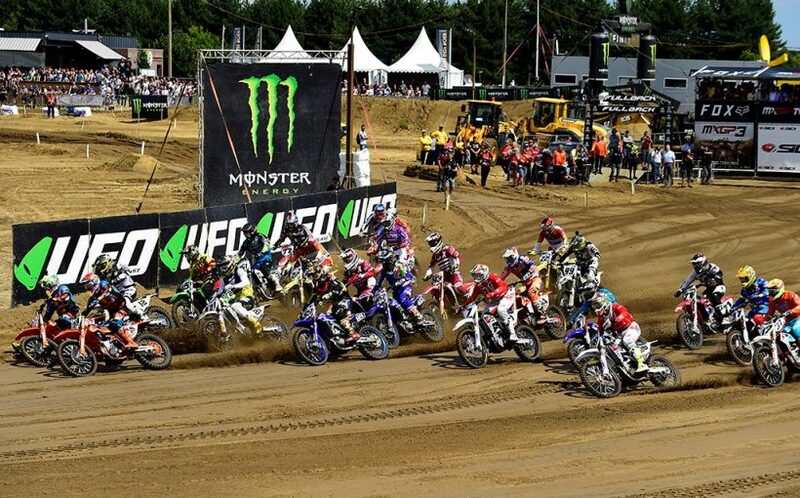 MXGP Lined Up For Lommel. 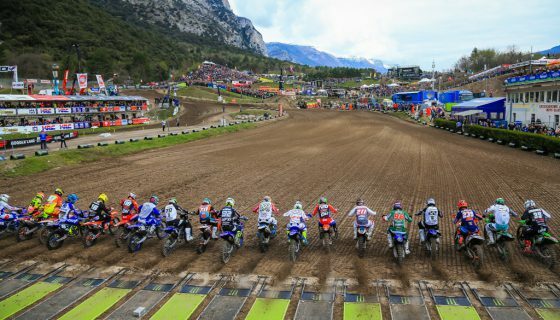 After another weekend off MXGP is back on track this week at one of the most brutal circuits of the MXGP calendar. The 2018 Fiat Professional MXGP of Belgium will take to the deep sands of Lommel to test the world’s best riders. Completely different from the hard pack surface at the last round in Loket, Czech Republic the sand of Belgium is home to many of the top teams in MXGP and the symbolic home of world motocross. 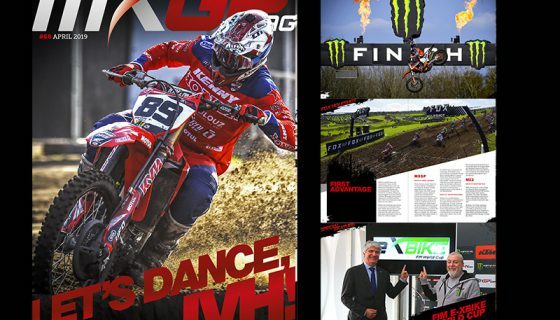 Aside from the MXGP and MX2 stars the weekend will include the races of EMX125 Presented by FMF Racing and EMX250. In the EMX250 class the long list of talented riders is led by series points’ leader Mathys Boisrame from the Honda Red Moto Assomotor team. Meanwhile EMX125 presented by FMF Racing is currently led by KTM Junior Racing’s Rene Hofer but an injury last week has ended the Austrian’s season and opened the door for others to take the title such as Yamaha Europe EMX125 MJC’s Thibault Benistant. Many of MXGP’s riders look forward to the Fiat Professional MXGP of Belgium but perhaps none more than Red Bull KTM Factory Racing’s Jeffrey Herlings. Herlings is known more recently as the fastest man on the planet but has always been a true sand master. Leading the points by 30 Herlings won here in a battle against his Red Bull KTM Factory Racing teammate Antonio Cairoli. Aside from Herlings 2017 win he has won the GP another time in MX2 and also scored a podium in 2010. Cairoli on the other hand has 3 overall wins and 3 podiums in Lommel. Even though the Sicilian seems to have lost grip on the title fight the last rounds with a hand injury he is expected to be back in fighting form this weekend. With 6 rounds remaining Cairoli is still in the fight for his 10th title but needs to cut away at the lead of Herlings. Monster Energy Kawasaki Racing Team’s Clement Desalle holds 3rd in the championship with 479 points while Team HRC’s Tim Gajser sits 29 further back at 450. Gajser has been the stronger of the pair recently and seems to be improving week after week. Historically however Belgium’s Desalle is the stronger rider at Lommel with 2 podium finishes, 2 top 5’s, and 1 top ten while Gajser has never been on the podium, has 2 top 5’s, and only 1 top ten. Monster Energy Yamaha Factory MXGP’s Romain Febvre has been on the mend with an ankle injury but seems to have healed, especially with the additional weekend off. Now 5th in the championship Febvre has 1 podium, 1 top 5, and 1 top 10 in the Lommel record books. Red Bull KTM Factory Racing’s Glenn Coldenhoff often flies under the radar but the Dutchman will be extremely interesting to watch on the Lommel sand where he fought with both Herlings and Cairoli last year to reach the podium on the circuit for his first time. Joining Desalle for their home GP is the Belgians of Jeremy Van Horebeek from Monster Energy Yamaha Factory MXGP and Kevin Strijbos riding for Standing Construct KTM. Van Horebeek comes off one his best performances last round in Loket after struggling with injury most of the season. Strijbos meanwhile has been on the mend from his injuries as well but is always strong in the sand with a prior win here in 2016 and one of his best races this year coming on the sand of Ottobiano. MXGP Championship Top Ten: 1. Jeffrey Herlings (NED, KTM), 633 points, 2. Antonio Cairoli (ITA, KTM), 603 p., 3. Clement Desalle (BEL, KAW), 479 p., 4. Tim Gajser (SLO, HON), 450 p., 5. Romain Febvre (FRA, YAM), 432 p., 6. Gautier Paulin (FRA, HUS), 419 p., 7. Glenn Coldenhoff (NED, KTM), 353 p., 8. Jeremy Seewer (SUI, YAM), 319 p., 9. Jeremy Van Horebeek (BEL, YAM), 312 p., 10. Max Anstie (GBR, HUS), 231 p.
In MX2 Red Bull KTM Factory Racing’s Jorge Prado has taken the points lead and the red plate from his teammate Pauls Jonass. Prado and Jonass have raised the level this season in MX2 not just in terms of speed but also consistency. 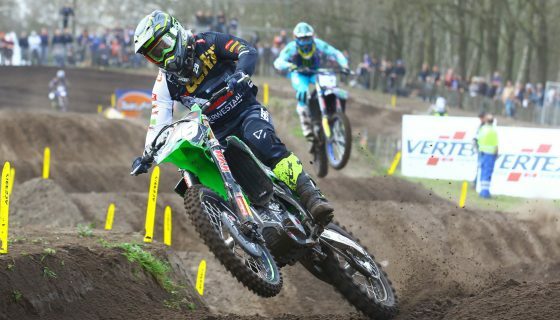 Last year Prado took the win at Lommel over Jonass and will look to do the same this season. The pair of KTMs will be an interesting watch this week as we will see how Jonass can respond to the loss of the red plate and the added pressure of defending his title while Prado will try to stay focused and not let the knowledge of leading the championship affect his riding. While Prado has only raced the event once and won, Jonass has raced here 3 times with 2 second place finishes along with a 9th in 2014. Running 130 points back of Jonass is Rockstar Energy Husqvarna Factory Racing’s Thomas Kjer Olsen. Olsen has struggled with small mistake recently and has been unable to return to his early season podium rhythm. Olsen is now only 27 points ahead of Kemea Yamaha Official MX2 Team’s Ben Watson and needs to return to the podium again this season and eliminate the errors if he hopes to maintain 3rd. The situation is similar for Watson as he has been fast but struggles to match good starts with his speed. 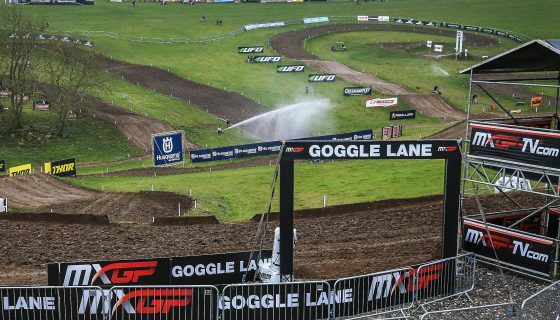 The Brit will surely be hungry for a podium this week after crashing out of the MX2 racing in Loket 2 weeks ago. Watson’s Kemea Yamaha Official MX2 Teammate Jago Geerts could be on the podium this weekend as well for his home GP. Rising to the occasion and one to watch more recently is Team HRC’s Calvin Vlaanderen after scoring a handful of podiums and even an overall victory. Vlaanderen was by far one of the most confident and comfortable looking riders in Czech Republic and looks to carry his momentum into sand of Lommel. MX2 Championship Top Ten: 1. Jorge Prado (ESP, KTM), 595 points, 2. 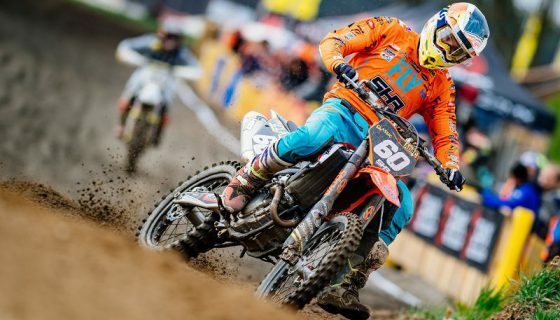 Pauls Jonass (LAT, KTM), 584 p., 3. Thomas Kjer Olsen (DEN, HUS), 454 p., 4. Ben Watson (GBR, YAM), 427 p., 5. Calvin Vlaanderen (NED, HON), 414 p., 6. Thomas Covington (USA, HUS), 375 p., 7. Jago Geerts (BEL, YAM), 310 p., 8. Michele Cervellin (ITA, YAM), 279 p., 9. Henry Jacobi (GER, HUS), 249 p., 10. 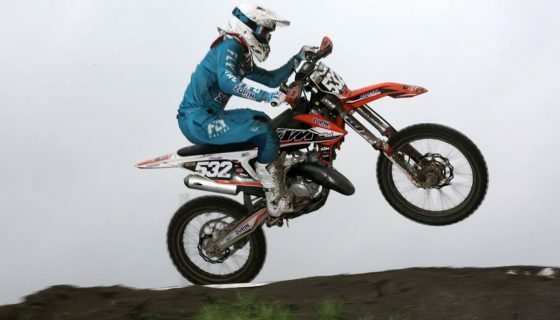 Davy Pootjes (NED, KTM), 218 p.